We instigated some “Community Programme” test models in the closing months of the 2018 season and these were very well received and proved very popular. We want to massively increase and improve our COMMUNITY PROGRAMME in 2019 and to make it, one of the best, if not the best in British Speedway in the coming seasons. We are massively indebted and deeply appreciative therefore of the assistance from Michael and George Gray (long standing supporters of Eastbourne Speedway) and their Company HG AEROSPACE for being our COMMUNITY PROGRAMME Partners in 2019 and for their substantial financial support to help to build and facilitate this. We aim to engage with a range of Sports Clubs (Soccer ; Hockey ; Rugby ; Cricket ; indeed any Sports and Organisations) Schools ; Scouts + Guides ; Registered Charities and Community Organisations to offer visits to Eastbourne Speedway for Groups of up to 200 on Race Nights. If the Group includes Children under the Age of 16, we will expect the Ratio of Children to Responsible Adults / Parents to be no more than 2:1 (e.g 50 Children would require around 15-20 Responsible Adults at all times). Visits can be arranged in advance by contacting us here or by the Contact form at the bottom of the page and will be arranged on a first come / first served basis. Ongoing Visits – for Groups of 50 or More a bespoke Pricing plan can be arranged. For Clubs and Groups this will involve an EXCLUSIVE STADIUM Tour on your first Visit with PITS/RIDER Access to include a visit too to the Starting Tapes Area and a live Presentation from the Referees Box of the various Starting/Exclusion Lights etc; and also an EXCLUSIVE Photograph taken on The Centre Green after Racing with available Riders, Free Copies of any Photos taken by our Official Club Photographer Mike Hinves, will then be sent to the Club or Organisation. We are actively in dialogue with the excellent ALBION IN THE COMMUNITY Programme set up by our neighbours at Brighton & Hove Albion FC. This is a shining beacon of what a family and community orientated Premiership Football Club can offer and we hope to be able to tap in to and to support some of their excellent Schemes and to offer then our support in 2019 (More News soon). 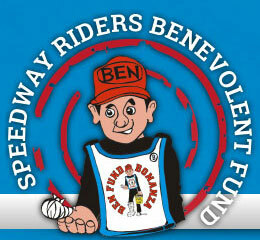 It is a requirement and indeed our pleasure to support The BEN Fund (Speedway Benevolent Fund) with a Collection each season. This will be arranged for a major meeting in 2019. The Fund has supported many Eastbourne Riders in the past and continues to do so to the present day. 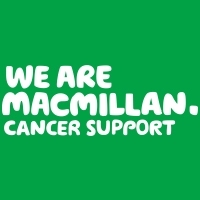 Our designated Charity for 2019, in conjunction with our sponsors The Holly Blue Pub, is Macmillan Cancer support. Further details of our plans will be announced shortly. 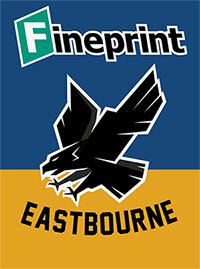 He is a passionate Eastbourne Fineprint Eagles fan and attends matches with his son Max and wife Nicky on a regular basis. She began watching and supporting the Eagles about four years ago. She is a teacher by profession, her main subject is maths. We are delighted therefore to welcome David Rollison to the Community Project Team. David has experience as a rider, initially on the Eagles’ junior track from its very early days and then on the local grass track scene. We have much more planned and in no small measure, thanks to the fantastic support from HG AEROSPACE this will be possible, and we will be making some Appointments soon to The Community Team to help us on Race Nights and generally in the Community. If you would like to volunteer your support to assist with our Community Programme on a few occasions during 2019, please do let us know via the Contact form below.